Feverfew is an ancient herb that has been traditionally used to treat various forms of ailments, ranging from headaches and fevers to insect bites and infertility. Its name in Latin means “fever reducer,” and ancient Greeks used it as aspirin to relieve symptoms or calm any hot, inflamed area (x). In current times, studies suggest that feverfew can prevent migraines, aid sufferers of rheumatoid arthritis, protect and heal the skin, battle dangerous blood clots and cancer and even help with depression and anxiety. As a result, one study declares it as a “safe, highly important medicinal plant for general mankind” (x). Feverfew comes in all shapes and sizes — dried leaves, liquid extracts, teas, tablets and capsules. The entire plant can be used to make medicines, but the leaves are the most desirable section. What are the benefits of feverfew? Where did it come from? Should you be aware of any side effects? A normal headache is a pulsing, throbbing pain in the head. Migraine headaches start with this pain and then add other symptoms such as nausea, sensitivity to light and sound and pain behind the eye. Migraine sufferers can experience pain so intense that they seek help in the emergency room. Enter the power of feverfew for migraines. It has been scientifically proven to reduce migraine severity and frequency (x). One study performed on 12 migraine sufferers taking feverfew over 12 weeks found that the frequency of migraines was decreased by nearly 60 percent, the intensity of the migraines fell by almost 40 percent and the duration of the migraines was reduced by 76 percent after 12 weeks (x). The Arthritis Foundation reveals that 1.5 million people in the United States have rheumatoid arthritis. This autoimmune disease convinces the body’s immune system to attack its joints by inflaming the tissue lining the inside of the knees, ankles, feet, wrists or hands. If left untreated, joints can lose their mobility and become deformed or unstable. Pain can be constant. One study found that feverfew reduced the severity of joint destruction, which indicated promise for those who have arthritis (x). 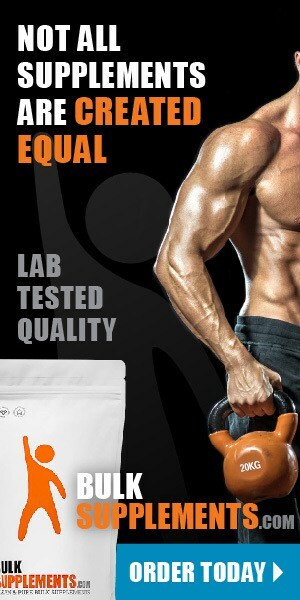 Another study found that it had a positive effect on the grip strength of female rheumatoid arthritis sufferers (x). Since medieval times, feverfew has been used to treat skin inflammation. In 2009, feverfew extract was tested as an anti-inflammatory and proven to relieve it (x). One study indicates there is even promise for feverfew as a treatment for psoriasis (x). Feverfew is a powerful antioxidant, demonstrating more active antioxidant capabilities than vitamin C against free radicals. Free radicals are described as unstable molecules that our bodies produce, or that we are exposed to, that can damage cells, causing illness and aging. One study found that feverfew was able to reduce and, to some degrees, repair the damage done to the skin daily by UV rays and cigarette smoke (x). Against three lines of cancer — two types of breast cancer and one human cervical cancer line — feverfew inhibited the growth of all three categories, showing promise in the fight against cancer (x). Another study found that it displayed anticancer activity against different cells of bone and brain cancer, throat cancer and a rare type of head and neck cancer (x). A platelet is a tiny blood cell that helps form blood clots, which can stop the body from bleeding (x). Blood clots become dangerous when they develop inside a vein, break free and travel to other parts of the body. Pulmonary embolisms can be deadly, and they occur when a blood clot travels to the lungs. A study performed in 1988 found that feverfew can inhibit the activity of platelets and thus prevent dangerous blood clots from forming in the first place (x). Depression and anxiety can be debilitating to people on a daily basis, causing weight gain, fatigue, a weakened immune system, increased blood pressure, panic attacks, irritability and insomnia. But one study suggests that feverfew has therapeutic potential against both depression and anxiety (x). Originally native to the Balkan Peninsula, feverfew now grows all over the world. The earliest reference to it in writing was in 1633 (x), though societies such as the ancient Greeks had names and uses for the plant. Feverfew plants are short bushes of white daisies with yellow centers, most similar in appearance to chamomile. Due to its attractive appearance, it is often used for landscaping and potpourris. One landscaping benefit of feverfew is the plant’s strong and bitter odor, which is used to repel bees and insects. Some groups rub dried feverfew buds on their skin to act as an insect repellent for humans. Others use its freshly cut leaves and stems as a dye. Feverfew is rather bitter, so adding the fresh leaves to a syrup or honey can help minimize that taste. If its leaves are eaten raw, they can cause sores, swelling of the mouth and even loss of taste. Feverfew capsules do not have this same adverse effect. On the contrary, capsules have a reputation of being able to cure toothaches. Some traditional feverfew uses have not withstood the test of time. Despite having the name “fever reducer,” there is no scientific evidence to prove that it is effective at doing so (x). Feverfew was once believed to help with infertility, but is now on the list of “herbs to avoid while trying to conceive” (x). 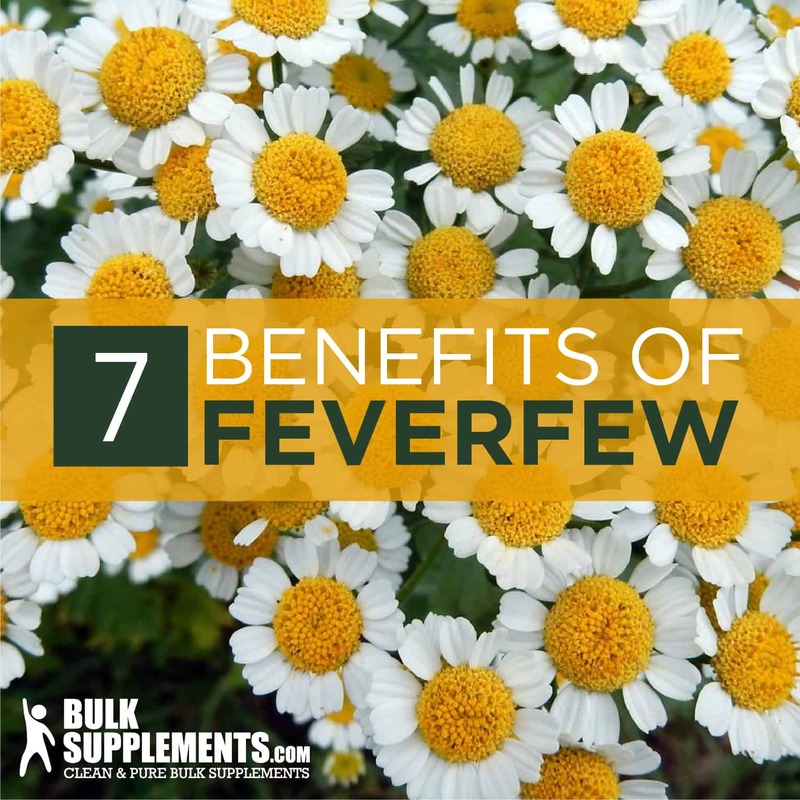 The recommended feverfew dosage is 500 mg (scant ¼ teaspoon) once daily with water, according to BulkSupplements.com. Even when consumed in the correct dosage, possible feverfew side effects may include upset stomach, nausea, vomiting, heartburn, digestive problems, bloating, diarrhea, flatulence, dizziness, trouble sleeping, tiredness, rash, weight gain, pounding heart, nervousness and changes in menstruation. Pregnant women. Feverfew can affect contractions. Individuals allergic to the Asteraceae/Compositae plant family. Individuals with a bleeding disorder or who recently had surgery. Feverfew could slow blood clotting and increase chances of bruising and bleeding (x). Individuals taking liver-focused medications. Feverfew interactions with these medications might decrease how quickly the liver breaks these medications down or increase their side effects (x).